Get the tests you need today! ICPR Family Practice takes making healthcare convenience to heart. That’s why we offer numerous diagnostic services – right here in our office – so you can eliminate running from place to place to get the tests you need done. Most lab work can be done at the office. This allows us to typically have results for routine labs and drug tests within 24 hours. Our on-site phlebotomists also help save you time and money by providing access to lab services, right when you need it. Think you broke a bone? No problem. 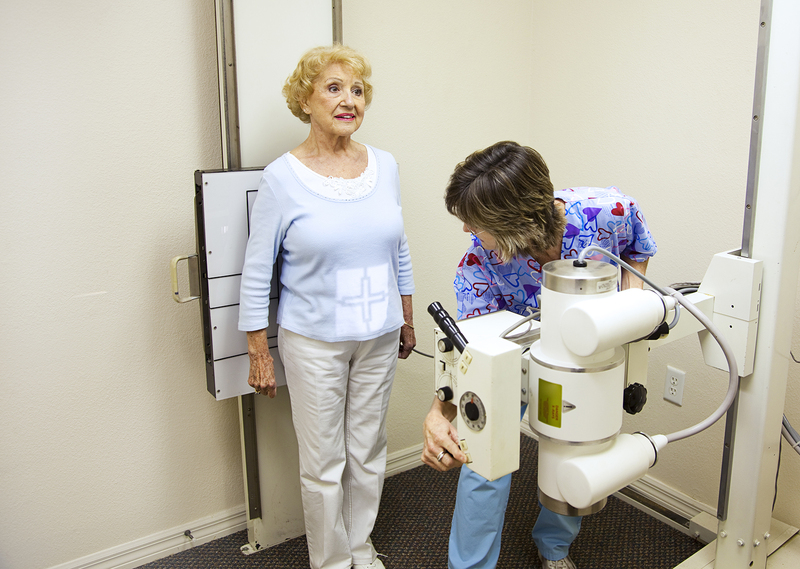 Our on-site x-ray services allow us to take a look and make a quick diagnosis. 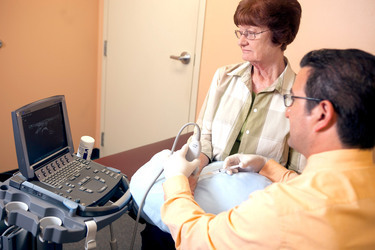 Ultrasound images are used to help diagnose many conditions. ICPR Family Practice takes this technology a step further, by offering ultrasound guided injections. This technique has been proven effective to deliver medicine to the precise point it is needed most and has been beneficial in helping treat knee arthritis pain as well as other types of joint and muscle pain such as neck pain and carpal tunnel syndrome. An effective study used to evaluate motor and sensory nerve function, this analysis is commonly used when patients have numbness or weakness in the arms and legs. It is also a useful tool for early detection of damage caused by uncontrolled diabetes. ICPR has teamed up with Watermark Medical to bring you ARES (Apnea Risk Evaluation System), a new service that allows us to test for sleep apnea, a potentially dangerous disorder, in the comfort of your own home. That’s right…. no expensive and inconvenient overnight lab testing! We can learn a great deal about your lungs and lung function by doing this series of tests. We’ll determine the quantity of air you breathe with each breath, how efficiently you move air in and out of your lungs and how well your lungs are delivering oxygen to your bloodstream. This is a great tool for early detection of asthma and COPD. Learn more about Pulmonary Function Testing.